Torquato Tasso, who has come to be regarded as the greatest Italian poet of the Renaissance, was born 468 years ago today in Sorrento. 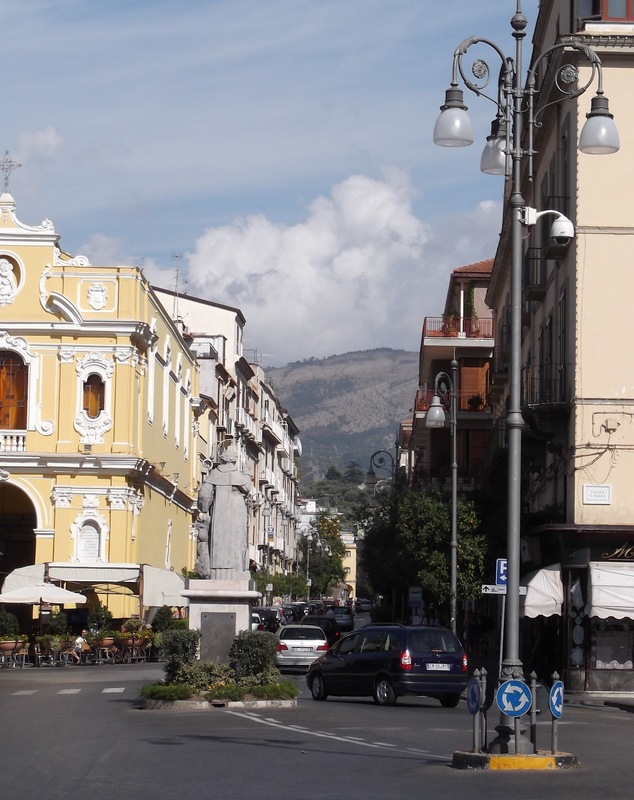 Although Tasso travelled all over Italy during his life, Sorrento’s main square has been named after him. 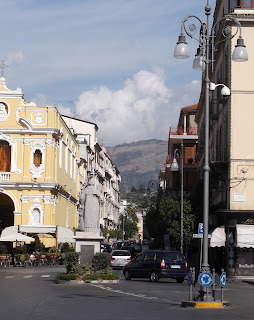 Piazza Tasso is right at the hub of Sorrento , in the middle of the main shopping street, Corso Italia, and looking over Marina Piccola, Sorrento’s port. Tasso’s most famous work was his epic poem Gerusalemme Liberata (Jerusalem Delivered) in which he gives an imaginative version of the battles between Christians and Muslims at the end of the first crusade during the siege of Jerusalem. His poetry was later to prove inspirational for other writers who followed him, in particular Spencer and Byron. The house where Tasso was born on 11 March, 1544 is a few streets away from Piazza Tasso in Via Vittorio Veneto and now forms part of the Imperial Hotel Tramontano, where the beautiful song Torna a Surriento was composed by De Curtis on the terrace. Tasso travelled about in Italy constantly during his 51 years but came back to Sorrento towards the end of his life to visit his beloved sister Cornelia, at a time when he was in deep trouble. Because of its location in pretty gardens and overlooking the bay of Naples, it is not surprising that the Imperial Hotel Tramontano has provided inspiration for other famous writers who have stayed there. It is believed Milton and Goethe once visited the historic building and, more recently, the hotel has accommodated American writers James Fennimore Cooper and Harriet Beecher Stowe. 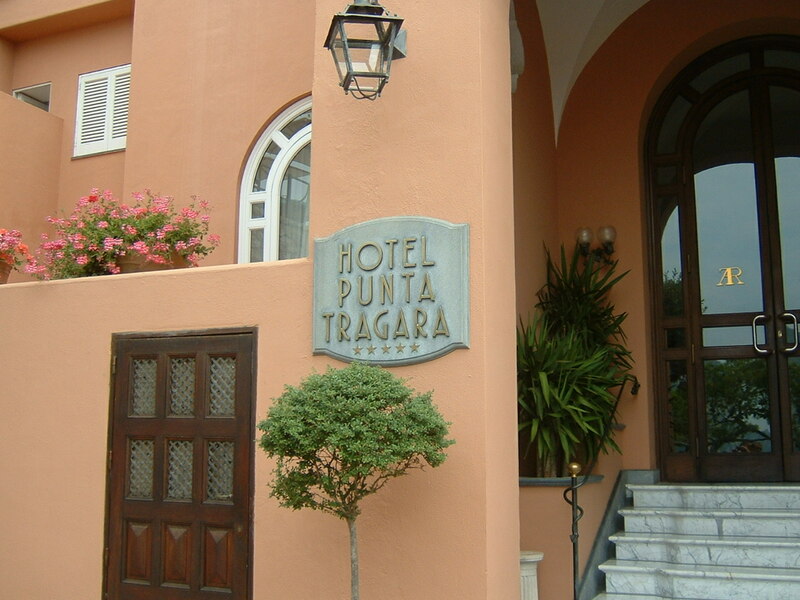 The Norwegian playwright Henrik Ibsen is thought to have written Ghosts while enjoying a long stay at the Imperial Hotel Tramontano in the mid 19th century. The glamorous island of Capri is within easy reach of Sorrento and makes a great day out, with hydrofoils and ferries leaving from the port at Marina Piccola at regular intervals. The island lies just off the tip of the Sorrentine peninsula and the crossing takes about half an hour. 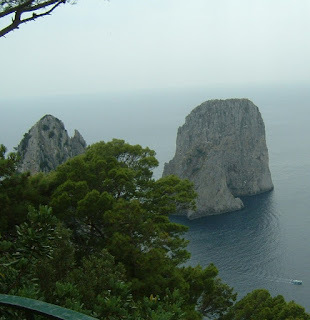 Capri has been immortalised in books, films and songs and has been the popular haunt of writers, artists and many famous personalities over the centuries. But as well as a jet set image, Capri has stunning natural beauty and many historic villas and churches to see. You can easily get a flavour of the island in a day, seeing some of the main sights, browsing in the designer boutiques and sampling Caprese specialities in one of the restaurants. You can take some memorable photographs against the magical backdrop of i Faraglioni (the distinctive rocks out in the sea) before heading back to the port to return to Sorrento in time for dinner. Either take the orange bus or walk down to Marina Piccola from Piazza Tasso in the centre of Sorrento . You can check the times and buy tickets for either the ferry or aliscafo (hydrofoil) to Capri at the ticket office at Marina Piccola. There are also bars, restaurants and a shop down at the port. The hydrofoils depart at regular intervals between 07.20 and 18.20 and there are also four ferries a day. You will see colourful houses and lines of boats as your ferry or hydrofoil approaches Marina Grande, Capri ’s port. Either relax with a drink at the port and soak up the atmosphere or go straight to the funicular to take you up to Capri ’s main square, Piazza Umberto I. You should only attempt to walk up if you are feeling energetic as it is a steep climb. The ‘piazzetta’ is also sometimes referred to as Capri ’s drawing room as it is almost completely covered with cafe tables where people enjoy meeting up for drinks and conversation. Once you have done enough people watching in the square, take a few minutes to look inside the 17th century Church of Santo Stefano, which has an original Roman floor, thought to have come from Villa Jovis. Then leave the piazzetta through one of the old archways to explore the twisting alleyways full of shops and restaurants. On restaurant menus look out for Insalata Caprese (a salad made with tomatoes, mozzarella and basil) or Ravioli alla Caprese (ravioli filled with cheese in a tomato and basil sauce). You could follow this with pezzogna all’aqua pazza (freshly caught fish cooked in tomatoes, parsley, garlic and wine). To accompany your meal, try a locally produced white wine, typically made from a pleasing mixture of Biancolella, Falanghina and Greco Bianco grapes. Then, round your lunch off with a glass of Limoncello (lemon liqueur) that has been produced on the island. You could walk to the Villa Jovis, a retreat on the island built by the Roman Emperor Tiberius. Excavations have unearthed baths, apartments and an area known as Tiberius’s drop, from which his victims were supposedly thrown into the sea far below. 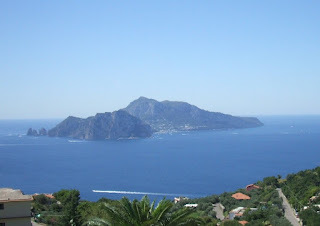 Or, you could take a bus to the second town on the island, Anacapri, to visit Villa San Michele, the beautiful home of Swedish physician Axel Munthe, from whose romantic gardens there are wonderful views of the Sorrentine peninsula across the water. Return to the funicular station near Piazza Umberto to get back down to the port. The last ferry leaves Capri at 18.15 and the last hydrofoil leaves at 19.00.